The album starts off strong with a great two track stretch. “Birds n Bars” is excellent, and sets the stage really well of the rest of the album. And I think it shows off what is best about the album almost as soon as it kicks off. Giving its focus on just making awesome bangers, it is remarkably palatable to people unfamiliar with grime. This really isn’t something that I can say about much of the genre, and it was nice to have a different album that had tracks on it that I didn’t mind recommending to more “normal” rap fans (where normal is people who don’t normally listen to London grime or Lil’ Yachty). It is grime, but it is not as weird or as dirty as it can get. It is almost mechanical in sound, harsh and more than a bit grating in some places, but it eases you into it. The first few songs are great and “Speakerbox” is absolutely fantastic. But the downside of this strong opening is that the second half has a hard time keeping up. There are a few solid tracks there, and “U Were Always” is great, but it just didn’t have the same impact as the opening. Unfortunately, when the album slows down is when it starts to wear more of its grime influence on its sleeve. This could be my relative lack of experience with the genre speaking, but the length of the album (17 tracks and 57 minutes) combined with front loading the two best tracks leads to the latter half starting to drag. I wish the album was a few tracks shorter. I’m an unabashed fan of short and too the point albums, and the lack of focus that can come with longer tracklists is clearly evident in the second half. 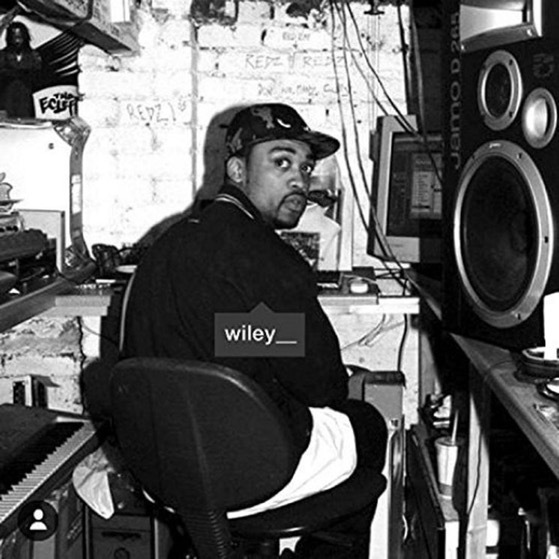 Wiley might be trying to call himself The Godfather of Grime, I just wanted him to make him point a little quicker.